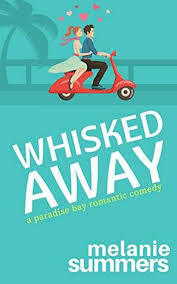 Synopsis (from Amazon): One autumn day, in a small town on Lake Michigan, the phones begin ringing. The people calling are all deceased. They talk about heaven. They say they are safe and happy. Each call is greeted differently—some with relief, some with love, some with religious zeal, some with fear. On that same day, Sully Harding is released from jail for a crime he may not have committed. During his time behind bars, his wife, Giselle, passed away, leaving him a single father filled with heartbreak and regret. He returns to his hometown hoping to rebuild his life. Instead, he finds a community increasingly gripped by miracle fever. As the mysterious phone calls become more frequent, outsiders begin flocking from all over the world to be part of the blessing, changing the small town indelibly, and turning local citizens into worshipped heroes. When his own son begins to carry a toy cell phone awaiting word from his mother, Sully has had enough. He sets out to prove that the phenomenon is a hoax. But is it? Or could this be the world’s greatest miracle? Do the calls give people hope, or do they imprison the receivers to a never-ending cycle of grief? The story follows several residents whose lives have been irrevocably touched when they are confronted with evidence that heaven exists. This remarkable novel takes us on a journey both of individual healing and society’s response to the question of life after life. Part mystery, part allegory, The First Phone Call from Heaven is a heart-racing page-turner and a soul-fulfilling tale of faith, hope and love. One (or more) Sentence Summary: I don't even know what to say.....I am still processing this absolutely amazing book. 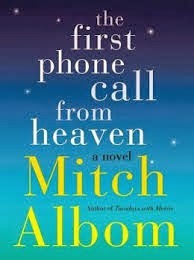 The First Phone Call from Heaven is by far my favorite Mitch Albom book. This is the type of book that would touch anyone and everyone who reads it. The First Phone Call from Heaven will be a book I purchase for many of my friends and recommend to everyone. I have always liked Mitch Albom (his books and articles) and not just because he is from Michigan, but it does help!! I met him (and I am sure he doesn't remember at all) at a book store in Ohio. He was promoting For One More Day and my mother had just passed away (and my parents have been divorced since I was 7 years old). His discussion about the book had me in tears. I immediately read the book - in record time. I swear I could have written such a similar book - and cried my way through it. The impact One More Day made in one of the worst years of life is indescribable. The First Phone Call from Heaven had me hooked from page one. Oh, what I wouldn't do for a phone call. Favorite Character(s): All of them. The story wouldn't be the same without every single one of them. Setting: Coldwater, Michigan. I so enjoy books that take place in Michigan. The First Phone Call from Heaven could have taken place anywhere and it wouldn't have made a difference. The story was so powerful, the place is secondary. Fast read/slow read: Extremely fast. 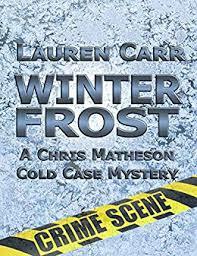 Cover: Perfect, but maybe a telephone cord would be cool to add the cover. "Albom artfully captures the emotional turbulence caused by the testing of faith. His story clips along at an increasingly frenetic pace, realistically displaying the ugliness wrought when combining the media circus, mass hysteria, and greed of commercialism. [A] moving tale of loss, recovery, and the power of love." Would I Read Other Books by the Author: Given I have already read all of his other books and LOVED The First Phone Call from Heaven, without a doubt, I would read anything by Mitch Albom. Conversation between Nicholas Sparks and Mitch Albom: I found a conversation between Nicholas and Mitch on Amazon and this was my favorite question and answer. "NS: Hearing from a deceased loved one is such a powerful idea. Whom would you talk to if you had the chance? And if Morrie from Tuesdays with Morrie were one, what would you ask him?MA: My mother is still alive, but has suffered several strokes and can’t speak. I wish I could dial to the past and engage in one of our long, impassioned, all-over-the-place talks. And Morrie? Well. He never got to read a page of Tuesdays. I’d ask if he is pleased. Am I doing OK by him? Mostly, I’d like to hear his laughter. I think we miss laughter most." SBN: Without a doubt, my mother. Too hear her voice again, to ask her questions, oh my word. I am speechless and choking up again. 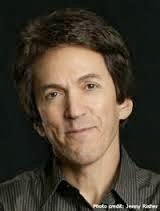 Meet the Author: Mitch Albom is an author, playwright, and screenwriter who has written seven books, including the international bestseller Tuesdays with Morrie, the bestselling memoir of all time. His first novel, The Five People You Meet in Heaven, was an instant #1 New York Times bestseller, as were For One More Day, his second novel, and Have a Little Faith, his most recent work of nonfiction. All four books were made into acclaimed TV films. Albom also works as a columnist and a broadcaster and has founded seven charities in Detroit and Haiti, where he operates an orphanage/mission. He lives with his wife, Janine, in Michigan. Fun Fact about Mitch: I learned this fun fact when I met Mitch in Ohio years ago (again, I know he wouldn't remember me at all). Mitch is a band member of Rock Bottom Remainders. The band members are other famous authors. For one week a year, they’re rock stars--artist-access-only, laminate-wearing, security-escorted rock stars with roadies and groupies. Four ringers help them out: drummer Josh Kelly, Erasmo Paolo on saxophone, Sam Barry on harmonica and Janine Sabino on vocals. The Remainders were founded by Kathi Kamen Goldmark." Check out this video - they are too cool! Connect: You can connect with Mitch at his website, on Facebook, Twitter, and sign up for his newsletter. Purchase it: You can purchase The First Phone From Heaven online at Amazon (available November 12th - preorder is an option) for $24.99. Make sure you check out the other blogs on The First Phone Call from Heaven, TLC Book Tours. I am sure you will find a new blog to follow. Wow, this sounds like a very moving book! I'm so glad you enjoyed it. Thanks for being on the tour. I'm featuring your review on TLC's Facebook page today.